The ocean is incredibly, mind-bogglingly, terrifyingly deep. Its average depth is about 3,700 metres, more than 10 Q1s (the tallest building in Australia) stacked on top of each other. And that's only the average — the deepest bit goes down more than 10km. Why point this out? Because saying "health is complicated" is kinda like saying "The ocean is deep". But this week, two scientists teamed up to make health a little less incredibly, mind-bogglingly, terrifyingly complicated: Professor John Hawley and Professor Louise Burke, from the Mary MacKillop Institute for Health Research, staged a "mythbusters" event in Melbourne to unpack some of the most outrageous claims and fads. Hawley spoke to Coach about some of the big health myths, and if you don't make it through this whole article, here's his short version: "If it sounds too good to be true, it probably is." Hawley says fad diets not based in much actual science are his biggest bugbear. It's true any diet that restricts food — be it the Paleo, ketogenic or 5:2 diet, or a program spruiked by a sports player or celebrity — will probably help you lose weight in the short term. But that phrase "short term" is key, because in the long term almost everyone who goes on a restrictive diet gains back the lost weight. "It's very hard to keep up with these extreme diets... They may work out for a day or two but they don't have any long-term prospects," Hawley tells Coach. Stepping on the scales and seeing a lower number is usually reason to celebrate. But it shouldn't always be — and that's because our bodies can lose not just unwanted fat, but also precious muscle. "If you lose weight you've got to be very careful about what sort of weight loss it is," Hawley says. "If it's fat mass, great. That's associated with a good outcome. If it's muscle mass, that ain't so good." You need muscle tissue not just to move heavy things around but to move, period: Lose too much of it and you won't be able to use your body, which becomes a bigger problem as you get older and potentially more frail. "The scales ... don't tell you the whole truth," Hawley says. "They don't tell you body composition." Exercise doesn't burn as much energy as many people think it does, meaning it's unlikely you'll lose much fat if you work out more without changing how you eat. "It's very hard to lose fat mass just by exercising," Hawley says. 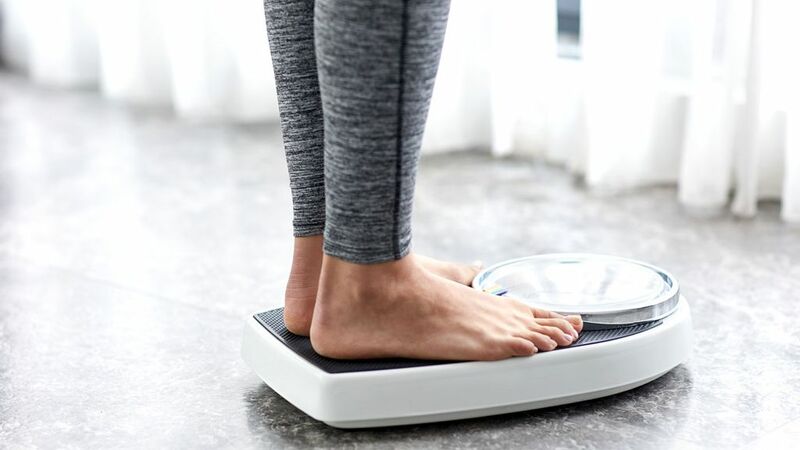 "Studies show people lose weight initially, but if you look at follow-up studies done 12 months or 24 months after, almost everyone's back to their old weight." Sure, exercise will help you drop fat — but for best results, you have to eat less too. "Bottom line is, you're going to have to go into a little bit of calorie restriction," explains Hawley. "It's not rocket science: you eat less than your output and you're going to lose weight. Simple as that." One of the hottest health trends are exercise mimetics: substances that deliver all the benefits of exercise without having to do any burdensome workouts. Exercise in a pill is a great headline — but Hawley says the idea is so far-fetched it makes him "raging mad". "Exercise does everything, from [benefitting] bone to muscle to brain to heart to lungs. There's not an organ that is untouched by exercise," he says. "To think you could get up in the morning and swallow a pill and derive all those benefits, even the psychological ones [of exercise] — it's just insane!" Pharma giants are pouring millions into developing exercise pills, and some rodent studies are promising. But Hawley doesn't believe their results translate to humans, and says an actual exercise pill is "far, far, far away". Wander into any group of health-conscious people and you'll inevitably hear them bemoaning their long-lost bread and pasta and potatoes — because everyone knows you can't eat carbs and have six-pack abs, right? Wrong. 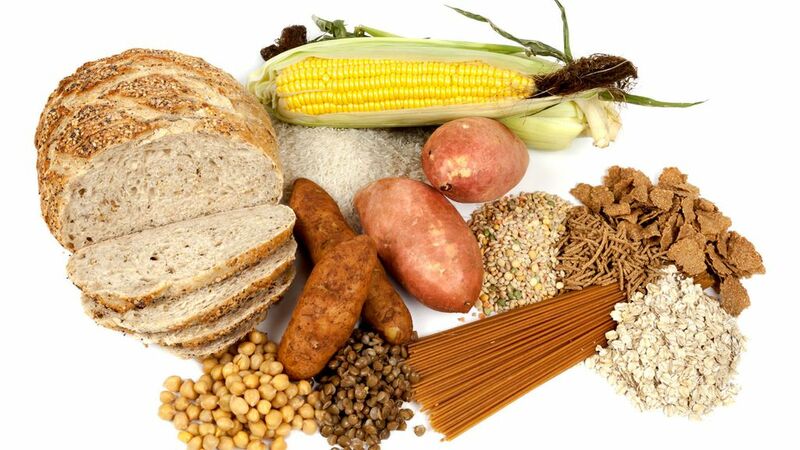 Hawley is a firm advocate of carbohydrates, because they're your body's go-to source of fuel. Say goodbye to carbs and you say goodbye to energy, an especially huge deal for very active people. "You try exercising without carbohydrate. It's bloody hard!" he says. If you're about to insist that you or a friend or a long-lost cousin quit bread and started losing weight right away, Hawley has a scientific explanation for that. "Carbohydrate is stored as glycogen — glycogen is what you use for energetic [activities] like running or swimming or cycling, whatever," he says. For each gram of glycogen stored in your body, you store 2-3g water with it. So when you stop eating carbohydrates, you lose glycogen — but you also lose water, which can make weight dip by several kilograms. "But that initial loss is just water loss. That's why it's so rapid," Hawley explains. "It's not true weight loss." Probably the most talked-about low-carb diet is the ketogenic diet, characterised by very little carbohydrate and a lot of fat. Its adherents follow it with religious-like fervour, but Hawley says few of its claims are supported by research on humans, especially very active humans. "We've done studies on it, we've tried to make high-fat diets work. They don't work!" he says. "That's from the athletic point of view. But do they work from the health point of view? "There's some evidence that if you are a true diabetic, then cutting out some carbs with a high glycemic index — those foods that induce a higher rise in blood glucose — can be beneficial." But Hawley believes those benefits are too small to make the ketogenic diet worthwhile for the average person looking to drop a few kilos. He adds most people who think they're doing keto probably aren't: a true ketogenic diet allows for as little as 30g carbohydrate a day (equal to about a single slice of white bread), which is near-impossible to plan and maintain without a nutrition expert's supervision. "Higher protein diets and weight loss is something that has scientific credibility," Hawley says, explaining there's solid evidence that protein is not only important for muscle mass, but for making you feel full. So how much protein is the right amount? Government guidelines dictate consuming around 0.8g protein per kilogram of bodyweight per day (so if you weigh 80kg, you'd shoot for 64g protein). But Hawley recommends at least 1g protein per kilogram, up to 1.5g protein per kilogram (or around 100g protein per day). To put those numbers in context, chicken or turkey breast and lean beef have around 30g protein per 100g, the same amount of Greek yoghurt has around 5g, and a large egg has about 6g. Health supplements take many forms, from protein powder to grow muscle, to carbohydrate gels to extend athletic endurance, to vitamin pills that deliver a hit of extra nutrients — they're something you take to give you a boost, that you can't get from whole foods. But before you starting using a supplement, make sure you've taken care of the fundamentals first: eating a balanced, nutritious diet; and determining whether your lifestyle and level of physical activity even requires you to use one. Because if you pop a supplement your body doesn't need, it'll just excrete it — "you've got expensive wee," Hawley jokes. "Supplements have their place, but they're like the icing on the icing on the cake," he cautions. "If your diet is inadequate, the first thing [to do to correct those inadequacies] isn't taking a supplement but seeing a nutritionist." If you're curious which supplements are worth taking, Hawley points to the Australian Institute of Sport's fact sheet: it lays out which supplements are backed up solid science, which need more investigation, and which have no evidence supporting them. To lose weight, you have to cut all the foods you enjoy. To get fit, you have to work out like a sweaty demon. That's the common perception — but Hawley says these extreme messages aren't realistic or helpful. "You can be too fat but you can also be too thin," he says. "You can not exercise at all and be a couch potato or you can train 30 hours a week, which is probably not healthy either." He believes these extremes persist because they're sexier than the boring secret of health: everything in moderation. "We preach that because it actually works for a majority of people," Hawley says. "[Long-term health] is what you do every day and the next day and the next day. Eat well, exercise, and sleep. That's the prescription. "But that's not what people want to hear. People want a quick fix," he says. "What we preach is pretty boring but it works. So I'm sticking with what works."